Getting the perfect pair of glasses that meet your unique prescription requires more than simply selecting a frame and choosing a lens online. To guarantee proper fit, accurate measurements are critical. Online options suggest that self-measurement can provide adequate results to prepare your order. We believe this is not good enough for our patients because even a miscalculation of a millimetre could have serious repercussions on the ocular health such as blurry or double vision, fatigue, headaches, nausea, and pain or pressure around the nose or ears. Additionally not all prescriptions complement all frames, which is not always evident when selecting frames online. Our professionals are educated in frame selection and are certified to ensure proper alignment. As a result your glasses will fit you properly and allow you see the world clearly and comfortably. A word of caution regarding progressive lens; Not all progressive lenses are created equal. With 100s of available designs, some work better with certain frames, difference activities or prescriptions. If you are not told about these options, likely you are getting the store brand, entry level lens that will not perform as well as other available options. We are not only able to offer the latest digital designed progressive lenses but able to create lenses that are customized to the alignment of your eye to the lens and optimized to your selected frame design. This can be an overwhelming process, but our team is able to understand your vision demands, educate you on your best choices to help you make an informed purchase. Our edging laboratory is able to complete most single vision orders the same day, and often delivery more complex orders in under a week. • One time replacement of lenses if significant scratches within two year of purchase with non reflective or TD2 coated lens. • Available custom lenses that are built to account for how the frame fits your face. From traditional to trendy, our knowledgeable Opticians and Optometric Assistants are trained to select the perfect frames to suit your prescription, face, lifestyle, and budget. 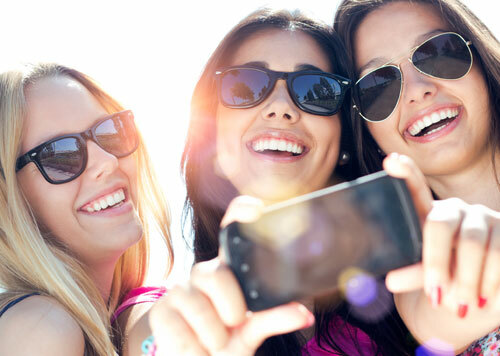 Sunglasses are not only a fashion statement but they also reduce eyestrain on sunny days and block harmful UV rays. Chronic exposure to UV rays has been linked to increased risk of pterygium, cataracts, and macular degeneration. Whether you are looking for non-prescription, prescription, clip-on, polarized, or transition sunglasses, our team can help you choose the perfect lens and style to best meet your needs. We have several CSA approved frames to choose from and we work closely with the Eyesafe program which promoting eye safety in the work place. 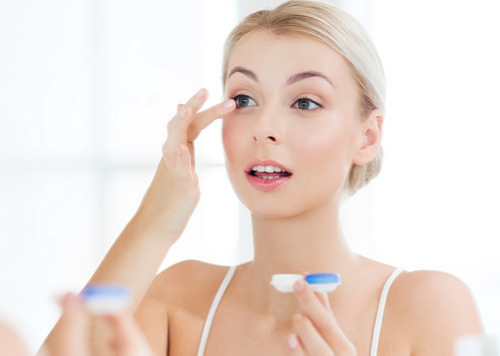 Contact lenses are an option for many people and allow the freedom from glasses without the risks and costs of surgical correction. Contact lens materials continue to improve with silicone hydrogels, which have dramatically improved the amount of oxygen that can be delivered to the cornea and this means improved comfort and fewer complications for you, the wearer. With the extensive knowledge of our team, we are able to recommend and fit the contacts that will correct your vision and minimize your risk of complications. Many of the factors that can increase your risk for complications occur when you leave our clinic. Wearing contacts beyond their replacement schedule, topping up solution, wearing too many hours, not washing hands properly, and not removing contacts at the first sign of irritation are but a few bad habits that can lead to complications. Our team is able to coach you about your habits surrounding contacts to keep your eyes healthy, feeling good and seeing clearly. • We provide you with a travel size solution with an annual purchase. • Direct shipping for lenses we do not have in stock is often no charge on annual supplies. • We can help provide lens in an emergency situation. • We can exchange unopened boxes if your Rx changes. • We take pride in helping you with all your vision needs in one location. • We have Optometrists available to deal with any problems you may have. Support your local business that supports your community. © • Innisfail Eyecare Centre | Optometrists in Innisfail, Alberta | Created by Optometric Services Inc.